Kim Kardashian has something to say to all cynics who oppose her choice of pursuing law! Kim Kardashian is not going to take criticisms by cynics who are judging her choice of pursuing law. Kim Kardashian is not going to take criticisms by cynics who are judging her choice of pursuing law. For the uninitiated, in the May issue of Vogue magazine, the reality TV star had revealed that she is training to become a lawyer. She is currently pursuing law and has registered with the California State Bar to study the same. 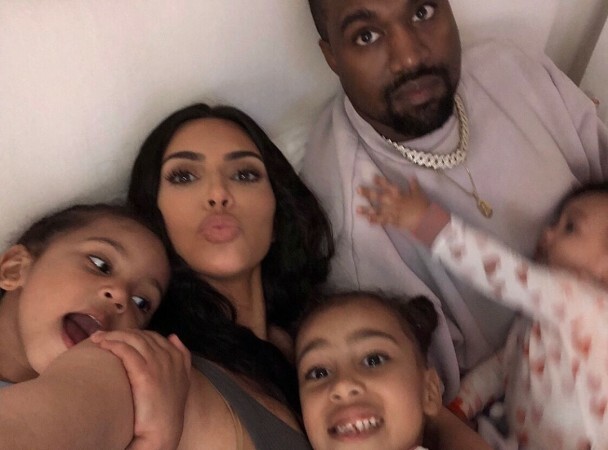 The Keeping Up With The Kardashian star took to Instagram to hit back at all those who criticised her and told her to "stay in her line". Sharing a picture of herself alongside attorneys Jessica Jackson and Erin Haney, she captioned her picture as, "Last year I registered with the California State Bar to study law." Kardashian further added, "For the next 4 years, a minimum of 18 hours a week is required, I will take written and multiple choice tests monthly. As my first year is almost coming to an end I am preparing for the baby bar, a mini version of the bar, which is required when studying law this way." Kim Kardashian then directed her comment towards all those who have been rather judgemental about her choice. "I've seen some comments from people who are saying it's my privilege or my money that got me here, but that's not the case. One person actually said I should "stay in my lane." I want people to understand that there is nothing that should limit your pursuit of your dreams, and the accomplishment of new goals. You can create your own lanes, just as I am. The state bar doesn't care who you are. This option is available to anyone who's state allows it. It's true I did not finish college. You need 60 college credits (I had 75) to take part in "reading the law", which is an in-office law school being apprenticed by lawyers. She then shunned them for saying that she has it easy. "For anyone assuming this is the easy way out, it's not. My weekends are spent away from my kids while I read and study. I work all day, put my kids to bed and spend my nights studying. There are times I feel overwhelmed and when I feel like I can't do it but I get the pep talks I need from the people around me supporting me. I changed my number last year and disconnected from everyone because I have made this strict commitment to follow a dream of mine - It's never too late to follow your dreams." "I want to thank Van Jones for believing in me and introducing me to Jessica Jackson. Jessica along with Erin Haney have taken on the role of my mentors and I am forever grateful to them both putting in so much time with me, believing in me and supporting me through this journey. This week I have a big torts essay due on negligence. Wish me luck"
To this, she received a clap back from sister Kourtney Kardashian who commented on her post stating, "I couldn't be more proud of you, sister"